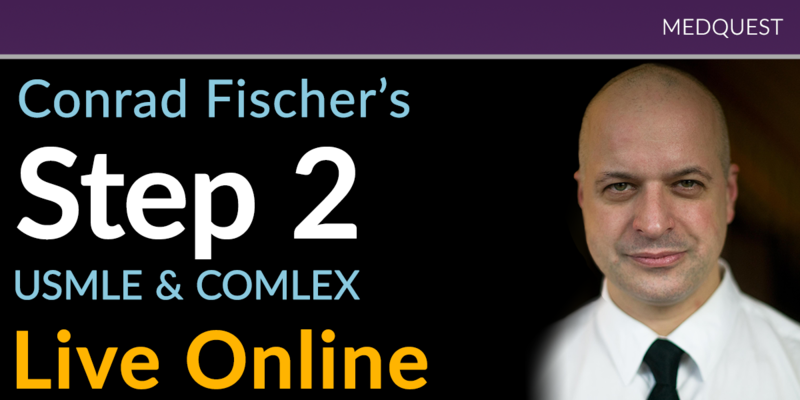 Dr. Conrad Fischer and the authors of MTB 2 present: Live-on-Line Class! Make sure you get the score you want, and cement the residency of your choice. Use your Master the Boards Step 2 CK book, and we will go through every subject start to finish. Please note, registrations for classes and live events are non-refundable and non-transferable. All purchases are final.